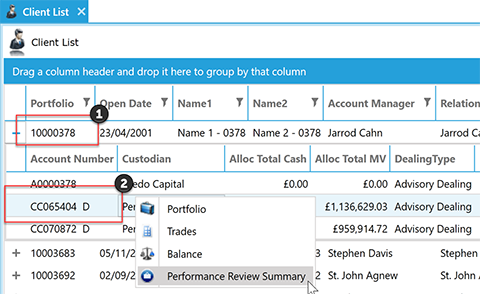 In the next version of MyCredo (V6.0.9.24), to be released later today, Credo has improved the report shortcuts from the Portfolio and Accounts lists accessed from a mouse right button click. a) From the Home tab, open the Portfolio list and right click on a portfolio. The below reports have been removed from the right click menu and replaced with the “Performance Review Summary” report. These reports are still accessible from the Reports tab under Portfolio Reports. b) On the right click menu, click on “Performance Review Summary”. The report parameters screen is then displayed. Capture the required details and click “OK”. 1. Portfolio number for the expanded portfolio. 2. 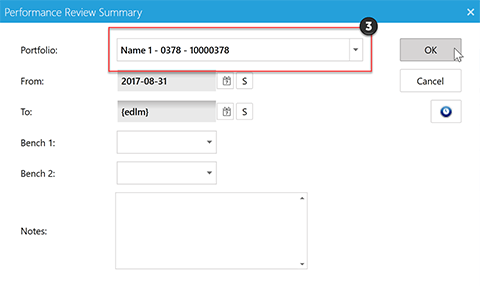 Account number for the selected account within the expanded portfolio. The report shortcut is generated by right clicking on your mouse. 3. 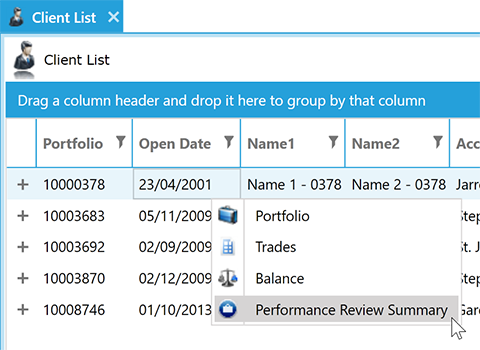 Report is generated at the associated portfolio level regardless of which account is selected within an expanded portfolio. a) From the Home tab, open the Account list, then right click on an account. The following reports have been removed from the right click menu. These reports are still accessible from the Reports tab. 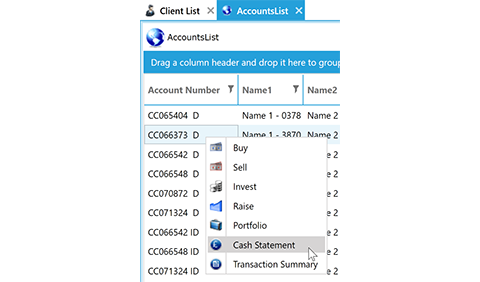 b) On the right click menu, click on either “Cash Statement” or “Transaction Summary”. 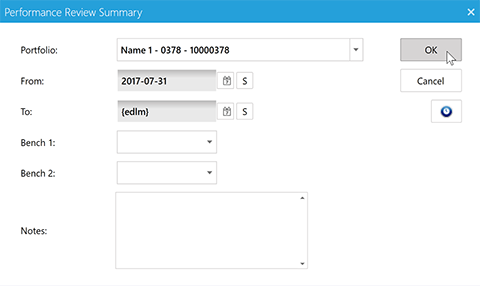 The report parameters screen is then displayed. Capture the required details and click “OK”.